Growing up, I always looked forward to Sloppy Joe night at the dinner table. Whenever I saw a couple pounds of ground beef on the counter next to a couple of cans of Manwich, my stomach started to growl. Not only did all of us kids actually like them (which can be a rarity with any more than one child, let alone four), they were also fun to eat. I mean, what kid doesn't enjoy getting a little messy? We almost always had potato chips alongside them, and I would scoop up all of the meat that escaped the bun with my chips to finish it. Who am I kidding? I still do that today. Back then, we always ate them as a sandwich. Or should I say a meal? (You know, because "a sandwich is a sandwich, but a Manwich is a meal".) Never really thought to eat them any other way. And honestly, that's the way I serve them most often to my own kids. There's nothing like covertly making sure that they are entirely present at the meal by making them use both hands. Am I right? Bringing family together around the table? Check! What easier way to kick-off a busy week than with Manwich Monday? That being said, the hearty sauce with a sweet and tangy taste also invites you to think outside the bun from time to time. The sauce itself is meatless and comes in three varieties: Original, Bold and Thick & Chunky. So really, you could invite Manwich to the table every Monday and never get bored. But perhaps the best thing is that Manwich can help make mealtime quick and easy for those busy weeknights. I don't know a single busy mom or dad who can't appreciate that. One of my very favorite easy meals is made by popping some scrubbed and rinsed sweet potatoes into the slow cooker in the morning, then whipping up a batch of sloppy joes, made with either chicken, turkey, or lentils as soon as I get home to serve ladled over the tender tubers. For an equally simple option that most kids adore (because, tater tots! ), try making a tray of Sloppy Totchos! Totchos are just a spin on nachos, using tater tots in place of tortilla chips. Slide a tray of tots in to the oven while you make a quick batch of Manwich (I like to use Bold variety in this application). Top the crispy tots with the finished Manwich and shredded cheese, then pop back into the oven for a few minutes to melt the cheese. Set out your family's favorite toppings and you've got a super fun twist on sloppy joes for kids of all ages! Looking for more delicious ways to start your week? 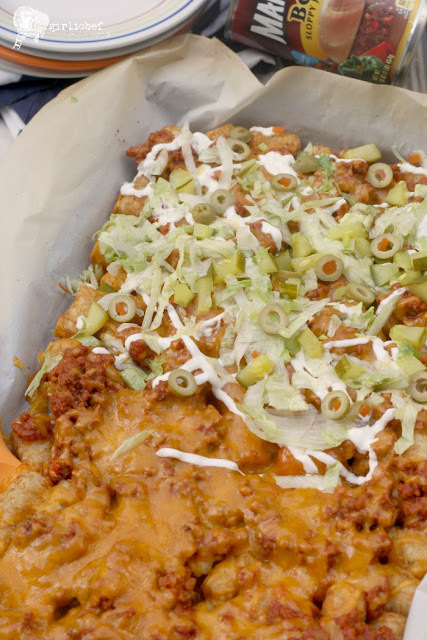 You can find Manwich Monday Recipes like Sloppy Joes, Baked Sloppy Joe Cups, Saucy Meatloaf, Sloppy Joe Tacos, and Sloppy Joe Macaroni Skillet on the Manwich recipe page! 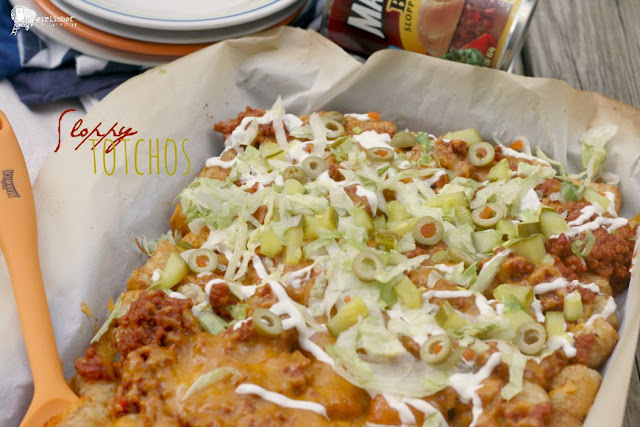 For more great recipe ideas and some laughs to go with them, be sure to follow Manwich on Twitter, as well. 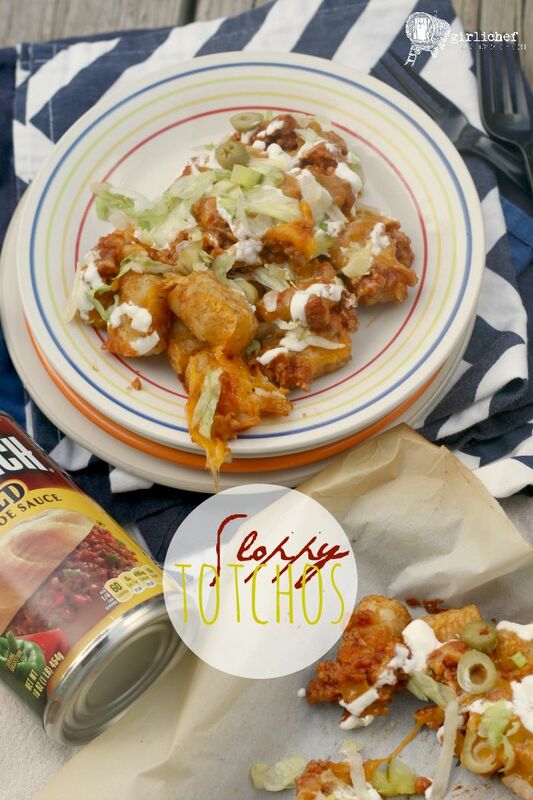 This easy totchos recipe features crispy tater tots covered with turkey sloppy joe mixture, melted cheese, and your favorite toppings! Preheat oven to 450° F (or according to tater tot package instructions). 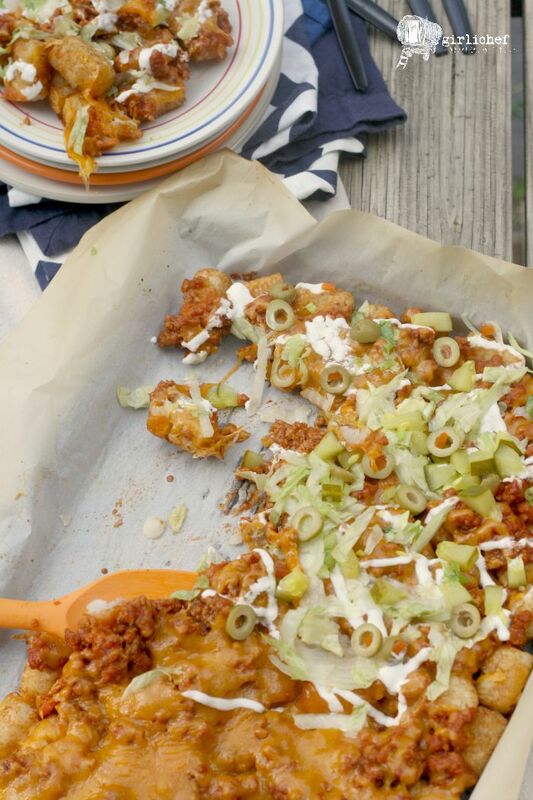 Arrange tater tots in a single layer on a small baking sheet that has been lined with foil or parchment paper. Bake according to package instructions (16-20 minutes), plus an extra 5 to 10 minutes, until extra crispy and golden on the outside. In the meantime, brown the ground turkey on the stove, breaking it up into crumbles as it cooks. Once cooked through, drain any excess grease (if there is any), and then add the Manwich Bold to the turkey and let simmer gently over low heat for a couple of minutes; remove from heat. 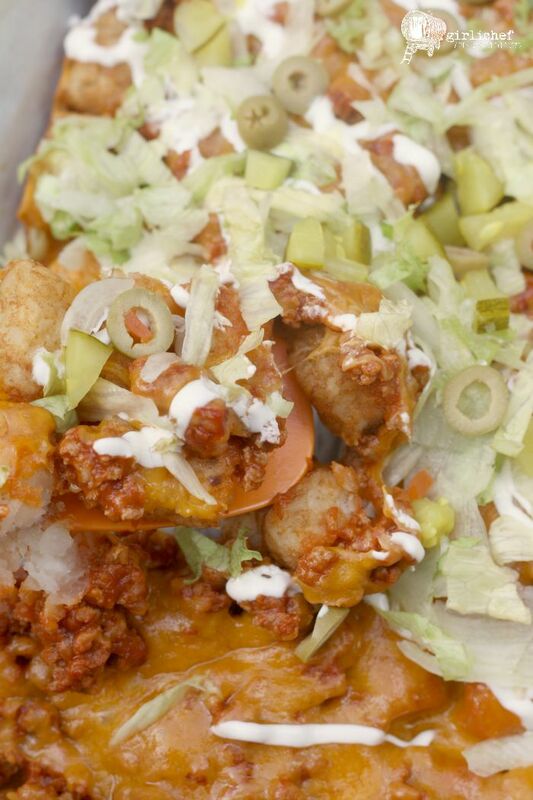 Drop the meat and sauce evenly over the crispy tater tots, then scatter the cheese evenly over that. Return to oven until cheese is melted, 5-7 minutes. Remove from oven and scatter any toppings that you want over the top, or scoop onto serving plates and let everybody choose their own toppings. Enjoy immediately. Sign-up for ReadySetEat eNewsletter to receive updates and special offers, and check out the ConAgra Foods' website to find Manwich products in a store close to you, by using the product locator. 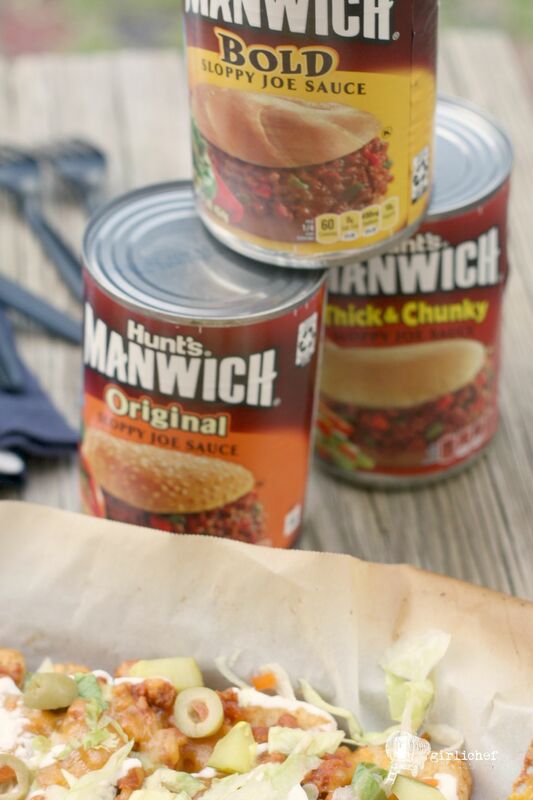 What's YOUR favorite way to use Manwich?